You are looking at new Factory Sealed SanDisk Ultra Plus microSDXC UHS-I Card with Adapter. 128 GB. Model # SDSQUSC-128G-AWCIA. ​ Class 10 for Full HD video recording and playback Memory Zone app lets you auto-manage media and memory for peak phone performance Comes with SD adapter for use in cameras. Ten-year limited warranty Designed for Android smartphones, tablets and other microSDXC compatible devices. Fast transfer speeds of up to 80MB/s Add up to 128GB of storage to your device Bid with confidence, check our feedback and know that we guarantee customer satisfaction by offering a full refund if you are not happy with your purchase. UHS speed Class 3 (U3) and video speed Class 30 (V30) for 4K UHD video. Typographical Policy: We are not responsible for typographical or pricing errors. Those order will be cancelled without any notice. Supplied with full-size SD adapter. Genuine SanDisk. New Sealed Card. We are here to help you. Speed up to 90 mb/s 600x. Manufacturer Axiom Upgrades. Product Type SDXC. Other Information. Manufacturer Part Number SDXC10/128GB-AX. General Information. Technical Information. UHS speed Class 3 (U3) and video speed Class 30 (V30) for 4K UHD video. Write speed of up to 90MB/s (1) handle rapid shots, sequential burst-mode, and RAW plus JPEG capture with ease. Jewel case. 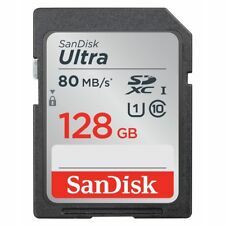 SanDisk 128 GB Micro SD Memory Card - New-in-the-package! 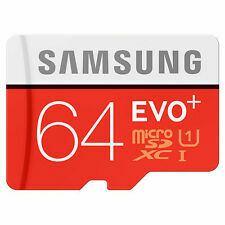 However, since they're micro SD cards, theywill work in any device that uses a micro SD card! Your device doesn't know the difference! An SD card adapter isNOT included. Class 10 performance for Full HD (1080p) video recording and playback. At only a quarter the size of a standard CF card, the HDFX SDHC Card boosts storage capacity and enhances transfer speeds. 64 GB SD Card Card Case. Typographical Policy: We are not responsible for typographical or pricing errors. Supports Ultra High Speed Class 3 specification (U3). Approximate Storage Capacity (128GB) These cards are waterproof (up to 1m for up to 30 minutes), temperature proof (-13° to 185°F), static proof, X-ray proof and shock proof (withstands impacts, vibration and bending). Storage Capacity 128GB. Manufacturer SCT. Class 10 UHS-1 SD XC. Format Type SD XC. SoCal Trade, Inc. Do not copy without permission. USB 2.0 Flash Drives. Speed Performance Class 10 UHS-1. TheMonster Digital 128GB Rugged SD Card is a military standard rugged construction, temperature resistant, shockproof, waterproof, and magnetic proof to withstand all of life's adventures. The card is Ultra High Speed, UHS Speed Class 3(U-3) and has a blazing fast download speed of up to 90MB/s. ADATA 128GB Sd Card. Class V10 With Adapter (High Speed). 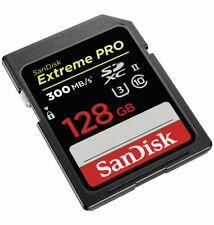 SanDisk Extreme Pro SDHC UHS-I 128GB Memory Card - Black. Condition is Used. Shipped with USPS First Class Package. Trending at $36.25eBay determines this price through a machine learned model of the product's sale prices within the last 90 days. Manufacturer Part Number128GB, class 10. Angelbird AVpro SD 128 GB. WORKS WITH Supports advanced shooting modes. Shock, dust, water, temperature proof. Records full HD, 3D, and 4K video. Stable Stream TM. Add storage up to 128GB to eliminate the dilemma of choosing what to keep and what to delete. Featuring Class 10 and UHS Speed Class 1 (U1) for Full HD video. Shoot and save more high-quality photos and Full HD video on your Android smartphone or tablet with SanDisk Ultra PLUS microSD UHS-I Cards. 16 GB x 27. Card has been cleared and ready to go. Speed 80 MByte/s. 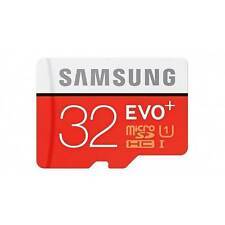 Manufacturer Part Number128GB, class 10. SanDisk 128GB Extreme SDXC UHS-I U3 Memory Card, Up to 170MB/s Read Speed. Condition is New. Shipped with USPS First Class Package. Barely used in perfect working order. Brand new 128gb card with adapter. Storage Capacity 128GB. Manufacturer SCT. Format Type SD XC. SD XC 16GB. SD XC 32GB. SoCal Trade, Inc. Do not copy without permission. Speed Performance Class 10.